The occasion was 15th August and like every year I had invited few of my close friends for lunch. 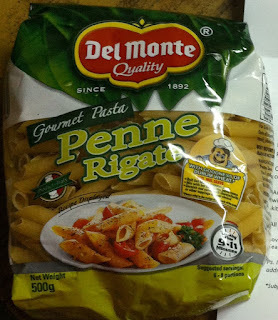 I asked my wife what you would make for them, she replied that this time I would be preparing special Italian recipe i.e., penne rigate gourmet pasta by Del Monte. Here is the recipe of the pasta that she prepared with her special ingredient. Utensils Used – One Kadai, One big bowl for boiling Del Monte Pasta, Ne big serving spoon for stirring the veggies and 8-10 glass bowls, one channi for for removing water from boiled pasta. Boil the Del Monte Penne Pasta, while boiling add some pinch of salt and 1 tbsp oil. For Pasta Sauce, we need a Kadhai, add 2 tbsp oil, add onions, garlic and put all the veggies. Stir all the veggies and make it as a sauce. After the veggies get cooked add the boiled Del Monte penne pasta. Topple the dish with cheese. My friends loved the Del Monte Penne Pasta and the recipe with the special ingredient.